On 19-22 February 2018, UNESCO Office in Tashkent in cooperation with the national partners – the National Association of Electronic Mass Media (NAEMM), National TV and Radio Company (NTVRC) and In-service Training Centre for Journalists (ITCJ) – conducted the fourth training session on non-news programming for journalists in Namangan. 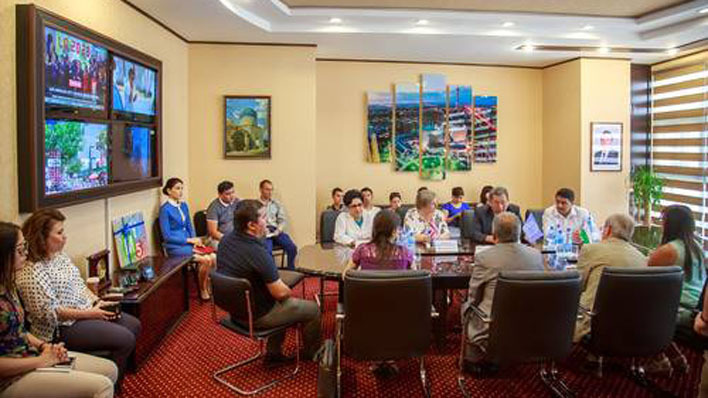 The session carried out within the framework of “Promoting Media and Information Literacy (MIL) and building media capacities in quality non-news programming in Uzbekistan" project funded by the UK government. The purpose of the training is to improve practical skills in developing quality non-news programs. The training focused on technical issues: work with camera and editing. This time the participants developed a short documentary film about history and arts of Uzbekistan. 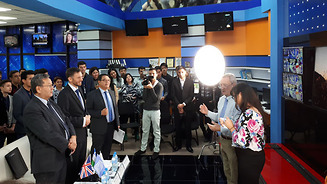 The project “Promoting Media and Information Literacy (MIL) and building media capacities in quality non-news programming in Uzbekistan" funded by the UK government is at the completion stage. This training is one of the last activities within this project. To draw ends and conclusions, UNESCO Office in Tashkent organized the press conference on the project results and achievements on 23 February 2018 in Tashkent. The project “Promoting Media and Information Literacy (MIL) and building media capacities in quality non-news programming in Uzbekistan was launched in January 2017 and aimed at strengthening MIL skills among teachers of formal education system and promoting quality content production among journalists. The project included several capacity building activities (trainings for teachers and journalists and study visits to UK), publications development, design of Massive Open Online Course (MOOC) on MIL, and radio soap opera production. The duration of the project is 15 months. Geographical coverage is 14 regions of Uzbekistan with particular focus on Karakalpakstan in terms of media support. Sanjarbek Allayarov, Culture/ Communication and Information Programme Officer, UNESCO Office in Tashkent; tel. : (+99871) 120 71 16, 120 71 54, 120 71 55, e-mail: s.allayarov(at)unesco.org. Gulnora Suleymanova, Project Assistant, UNESCO Office in Tashkent; tel. : (+99871) 120 71 16, 120 71 54, 120 71 55, e-mail: g.suleymanova(at)unesco.org.